A young Birmingham company which has secured major global contracts to help others achieve their potential has been named the region&apos;s business of the year. Curium Solutions was founded ten years ago by Andy Dawson and twins James and Adam Farrow and now employs 30 people at its base in the Colmore Business District. The professional services company specialises in delivering change and personal development and now counts well known brands such as Tesco, Zurich, E.on and Lloyds among its client roster. It was chosen from the category winners, having won the people development award, to be named overall business of the year by Greater Birmingham Chambers of Commerce at the ICC ceremony last night. Russell Jeans, the chamber&apos;s chief operating officer and chairman of the judges, said: "We felt that Curium deserved the award because they have achieved remarkable global success in a very short time. 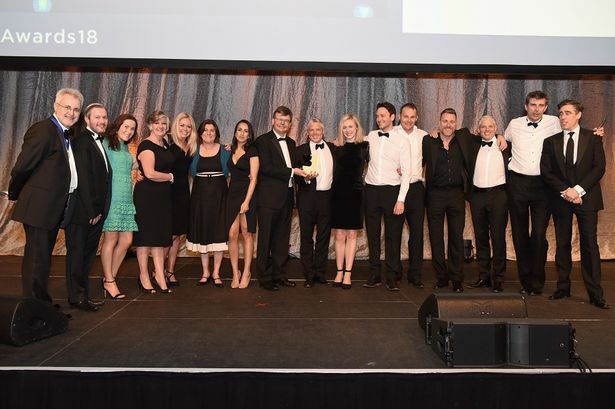 "Their team is dedicated to helping other businesses and individuals through first-hand experience and the award fully deserved." In addition, the special president&apos;s award was handed to Ice Maidens, the British Army soldiers who became the first all-female expedition to trek across Antarctica on foot. Chamber chief executive Paul Kehoe presented the award to Major Sandy Hennis, from Redditch, who represented the Ice Maidens at the ceremony. He said: "This was such a remarkable achievement it did not take too long for me to decide the Ice Maidens were deserved winners. "I&apos;m delighted that Sandy was able to be with us to receive the award personally on behalf of the other Ice Maidens. "Conditions in Antarctica are brutal and to undertake a trek of over 1,000 miles is unbelievably tough and the Ice Maidens deserve all the plaudits they receive."